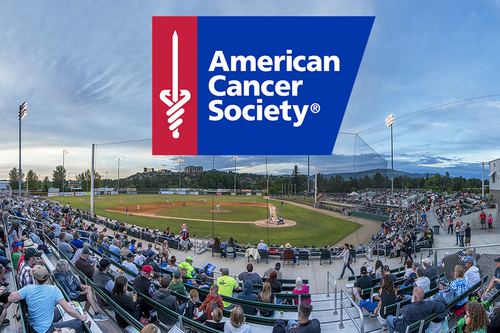 OCTOBER 10, 2018 - MEDFORD, OR: In partnership with the American Cancer Society, the Medford Rogues are proud to share two exciting upcoming events with the community. * October 20, 2018 (Saturday) - DAREx 5K run/walk will begin and end at Harry & David Field. Registration is $30 per person. Payment and registration can be mailed to: American Cancer Society, 31 W. 6th St., Medford, OR 97501. Register day of event accepted. Run/walk begins at 10am with registration beginning at 9am. All proceeds from the run/walk will benefit the American Cancer Society. In support of the events in partnership with the American Cancer Society, Medford Rogues Baseball Club has waived both event rental fees for Harry & David Field.